December 8, 2012 - 9:30 AM - Maine OI Group hosts Recitation of the 14 Mindfulness Trainings at the Unitarian Universalist Community Church in Augusta. Followed by community care taking/sharing and possibly Deep Relaxation or other shared practice. 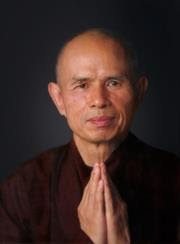 December 10, 2012 - 4:00 PM Book Discussion - Awakening of the Heart chapter 3 - The Sutra on Knowing the Better Way to Live Alone. Followed by regular Sangha gathering.